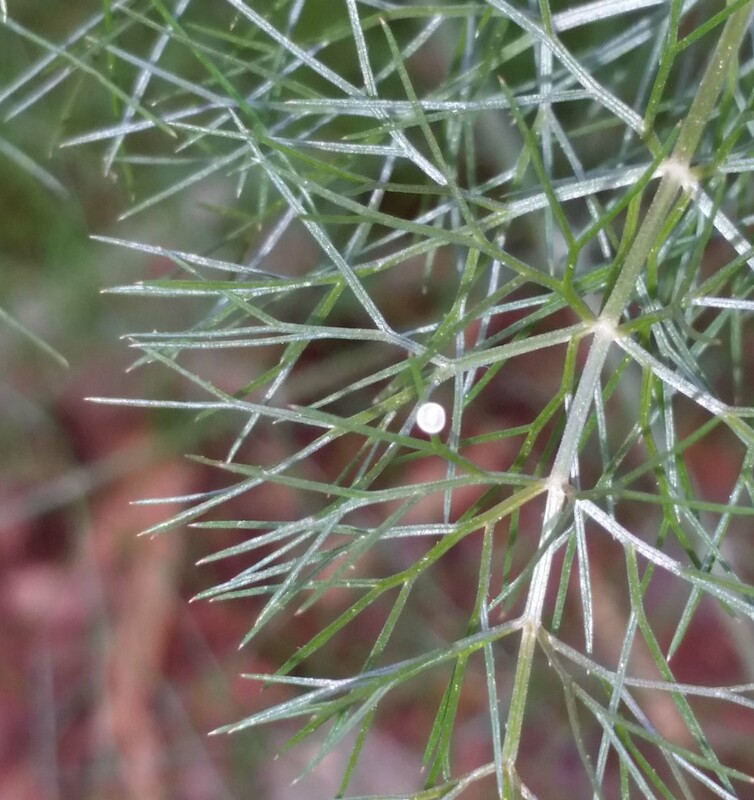 Check out your fennel, dill, parsley, carrots, or even wild Queen-Ann’s lace for the round bright yellow eggs or the caterpillars. Collect them gently; still attached to the leaves they are on. Place them in a clean, clear container with lots of room for them to grow. The container will need good air flow (a secured screen on top will do) and lots of the food plant they were eating. You will need to change the food plant daily so make sure you have a fresh supply from your garden available for at least 4 weeks. 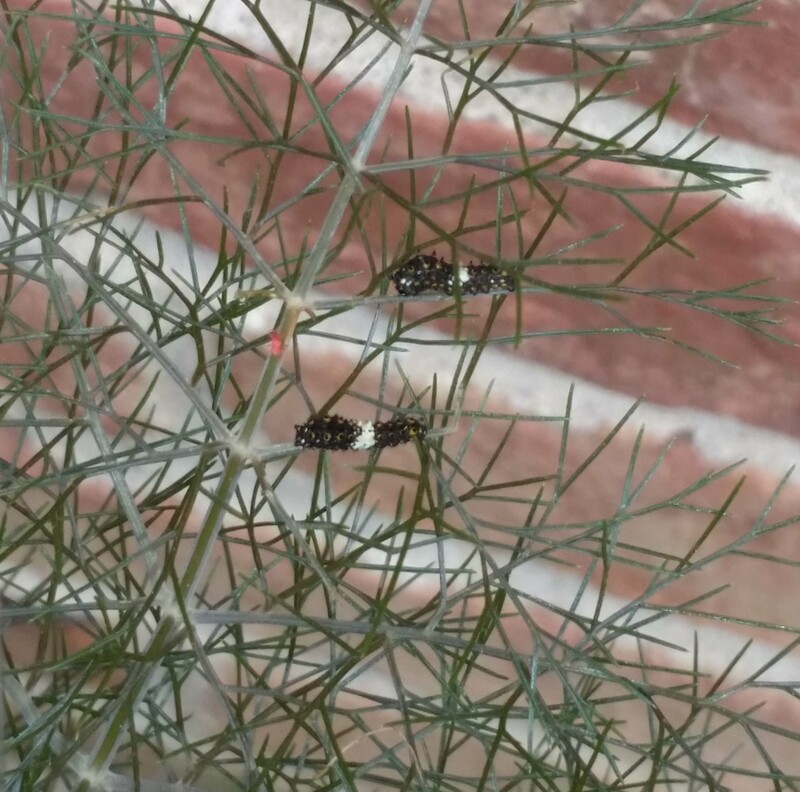 You can put a few sprigs in a container of water to keep them fresh for a few days, but these little caterpillars grow quickly and have big appetites! Don’t let them go hungry! Keep the container shaded; heat can build up if the container is left in the sun. 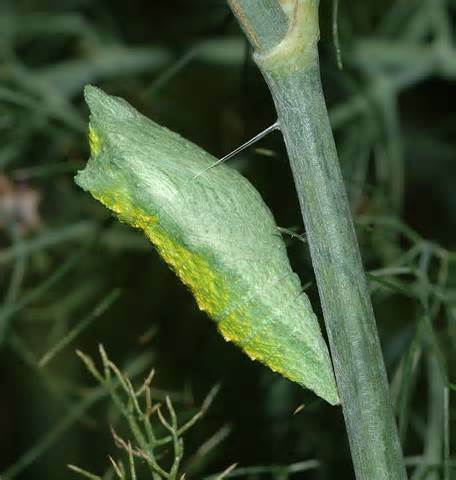 Before the caterpillars become an inch long, provide a sturdy branch or stick positioned at an angle for them to attach to when they are ready to start the metamorphosis process to become a butterfly. 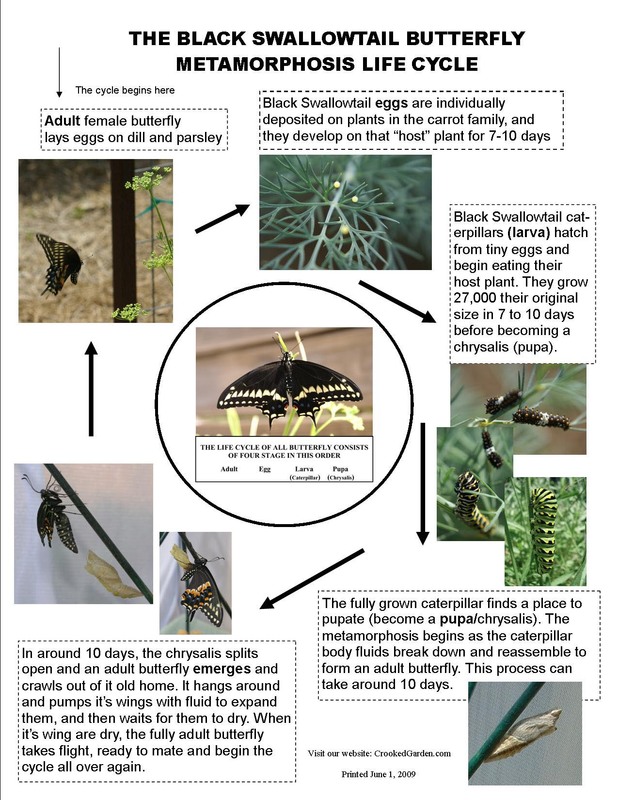 From chrysalis to butterfly will take about 10 days (for a summer hatching). 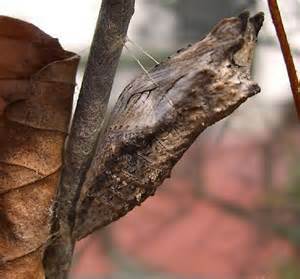 If you check carefully, you may see the wings of the butterfly start to form while still inside the chrysalis. 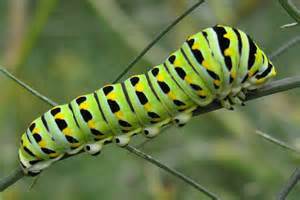 And if you’re very observant, you might even be able to watch the young butterfly emerge. Please release the butterflies as soon as they completely emerge. They have a very short time to find a mate and start the process all over again.